Corsair wants to gift one of their fans with a bundle of gaming peripherals! 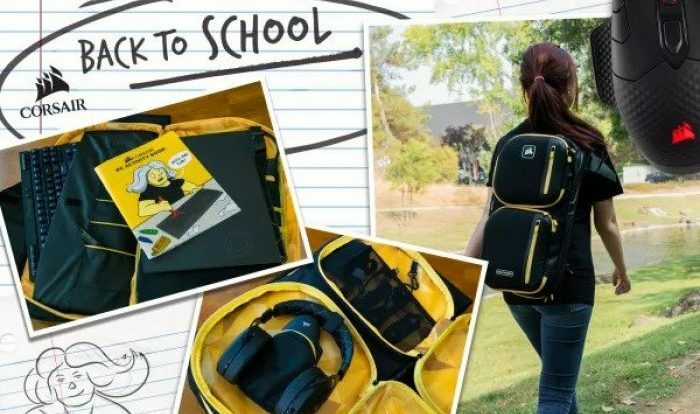 To enter in their latest Corsair Gaming Peripherals Back to School Kit Giveaway grab your free entries by following few simple steps listed down below! The CORSAIR DARK CORE RGB SE gaming mouse lets you choose between ultra-fast 1ms wireless, Bluetooth compatibility or wired mode for performance gaming with versatile connectivity. Up to 24 hours battery life and Qi wireless charging lets you stay powered without ever needing a cable and a high-accuracy 16,000 DPI optical sensor, customizable in 1 DPI steps, can be tuned to virtually any mouse pad. Winner will be contacted by email and has to reply within a specified period of time to claim the prize.